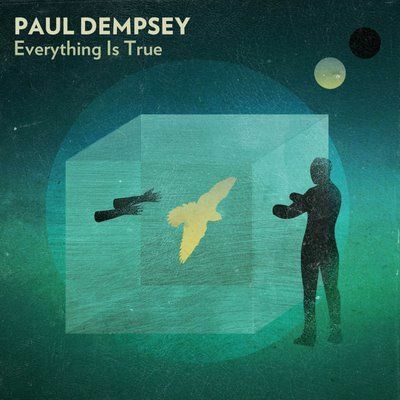 Australian Paul Dempsey, lead singer and guitarist of the band Something for Kate, has taken his talent for words and music and compiled his debut solo album, Everything is True, which was released in August. Featuring 11 original tracks as well as four cover songs, the album is like a good intentioned (not creepy) smile from a stranger. Like the friend you never had but wish you did, it is honest, full of talent, well composed and it does not let you down. The first single, Out the Airlock, is one of many soft ballads on the album and though the song features somewhat melancholy lyrics Dempsey combines gentle guitar playing and eloquence that succeed in reaching out to the listener. The softer songs on the album are complemented by more upbeat tunes such as Ramona was a Waitress. Ramona captivates your attention without demanding it, and it will make the listener tap, bob and shake and then push repeat. She Great Optimist highlights Dempsey’s rugged voice and amidst soft yet upbeat drums and subtle guitar his honest lyrics declare “It would be something if, if somehow after this you could still call yourself the great optimist”. The cover of MGMT’s Time to Pretend is more than just a bonus track it is a pleasant surprise, in which Dempsey takes an amazing song and breaks it down to its simplest elements, lyrics and an acoustic guitar. Paul Dempsey’s acoustic pop music is enjoyable without being overbearing. Everything is True may blow up but it will not dissipate; it will only get better with every listen.